So as I stated, the end of 2014 was filled with some great highs and some sad lows. 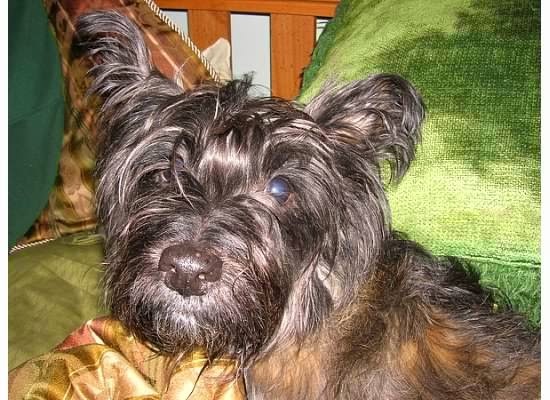 We lost our beloved cairn terrier Pabst in November. He was a always mischievous, very lovable and at the end pretty much toothless dog. He was my first baby, having adopted him on Halloween in 2000. He had eighteen full years of life. I only hope we gave him as much love and memories as he gave us! The 2014 holiday season also brought with it Jude's first set of stitches. Eight to the ear to be precise. Ouch!! We can only hope he learned from the wrestling with his brother mishap. But if I had to put any money on it, I would bet no!! So enough with the sadness. Let's bring on some happy! The beginning of November started our holiday season. 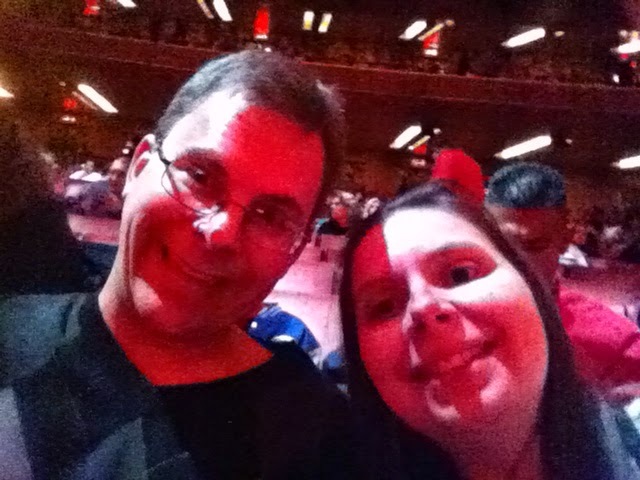 Steve and I spent a lovely long weekend in New York City. 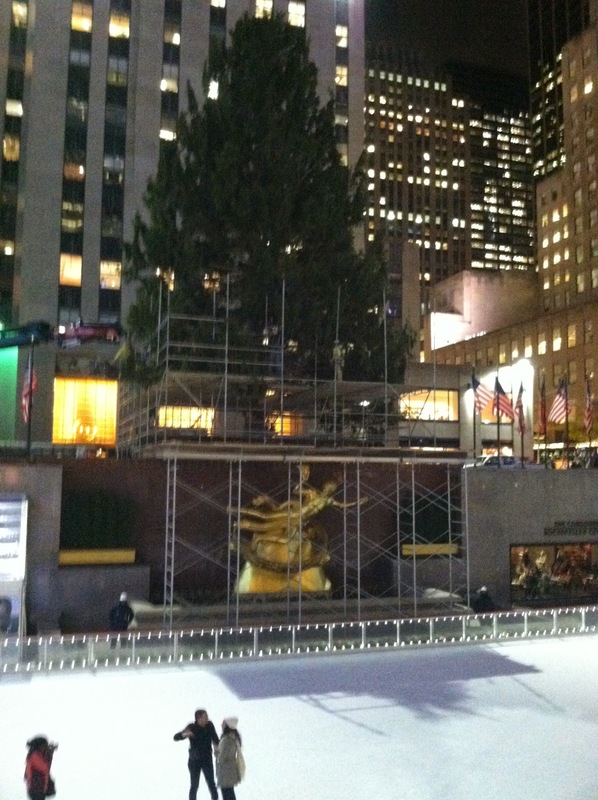 We saw the newly delivered not yet decorated tree at Rockerfeller Center. 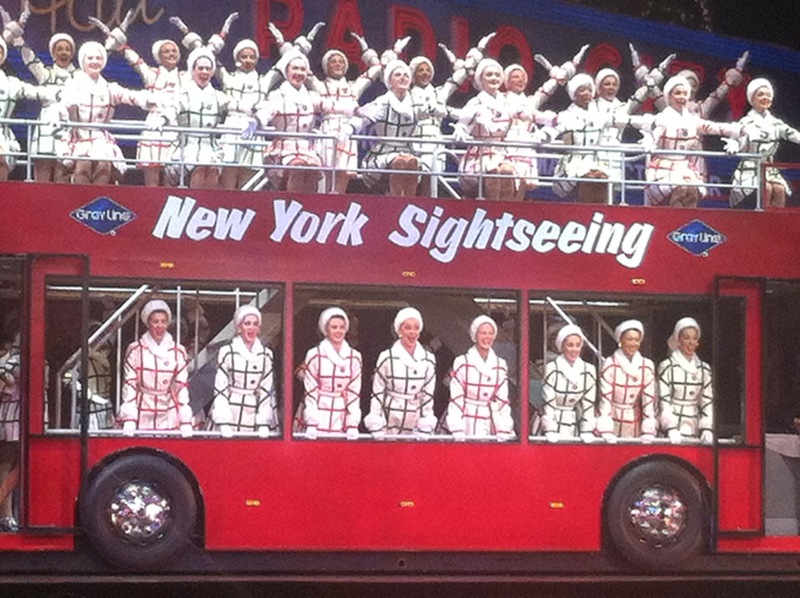 We saw the premiere performance of the Rockets 20014 Holiday show. 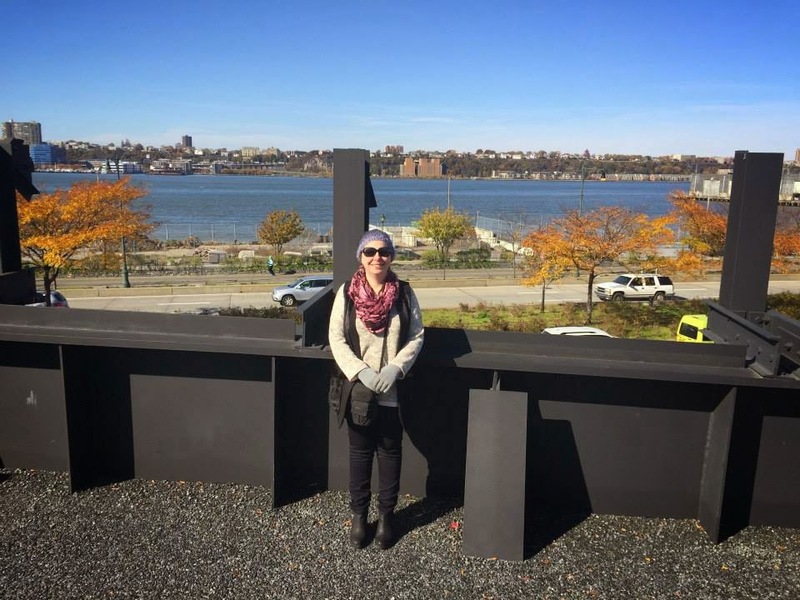 We visited Chelsea Market and walked The High Line. 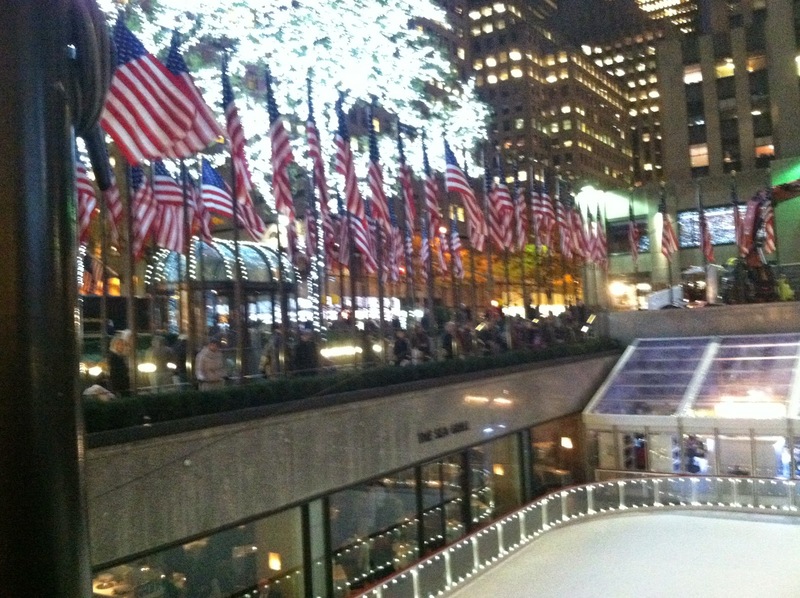 Took a walk in Bryant Park and watched the ice skaters and visited some of the wonderful holiday shops. Did a little shopping at the Herald Square Macy's where I got a fantastic early Christmas present for myself, a Kate Spade handbag. Yeah!!! We finished our weekend with wonderful night celebrating a close friends birthday at Nobu (probably the best meal of my life). For Thanksgiving, I cooked the bird. And what a lovely bird it was. Three days dry-brined, cook to golden brown and glazed with an amazing raspberry mustard. Simply amazing served with sides of orange cranberry sausage dressing, mashed potatoes and sweet potato brussel sprout hash. Delicious if I do say so myself. And saying is all that I can do because I was so consumed by cooking, I forgot to take a picture of the masterpiece :( Well there's always next year! Thank you Miss Cassy for the addition of the handmade Scrabble ornaments. Great idea! Super crafty and Pinterest worthy don't you think!?! With Thanksgiving came the tradition of Elf on a Shelf. Our elf's name is Bruce Spruce. Santa actually allows Bruce to spend the entire year with us. He travels nightly to the North Pole between Thanksgiving and Christmas and periodically throughout the rest of the year. This year Bruce got himself some new clothes, As Jude says, "He's stylish!" The kids and I along with Grandma Plicka explored Kringle's Inventionasium at Tower City in Cleveland. 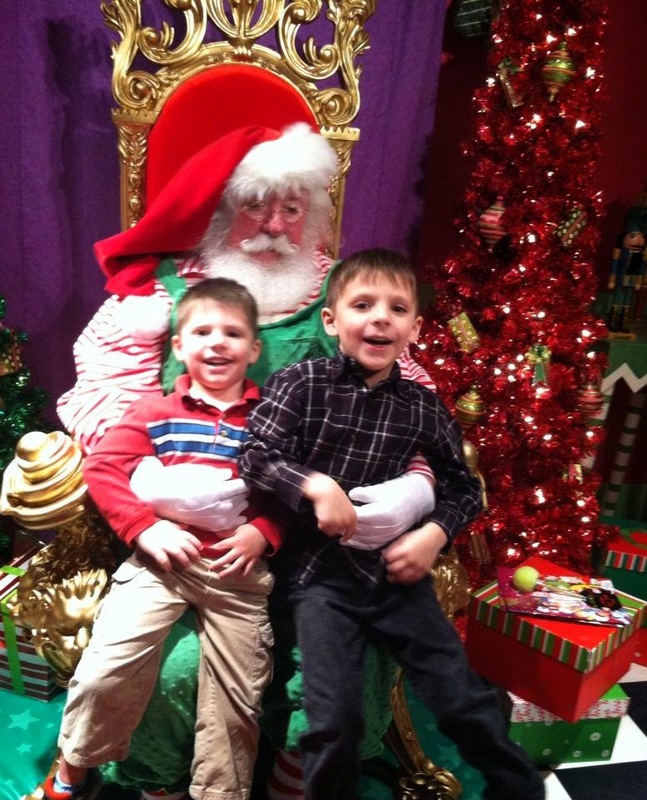 The kids loved playing in the toy factory and meeting Mr. Kringle himself in his office. Although Jude told him that he knew he was just a helper Santa because the real Santa was much too busy making toys to be in Cleveland. He didn't take the meeting for granted though and put in his request for a WiiU with Disney Infinity 2.0 and Joel chimed in requesting Skylander Swap Force. The whole family also made its annual trek out to Lake Farm Park to make toys in the elf toy shop. We do enjoy Country Lights which if you are unfamiliar is an annual event at Lake Farm Park featuring beautiful Christmas lights, a toy factory, pictures with Santa and much, much more! Yes we met with Santa helper number two. We once again told him we wanted a WiiU and had been really good (despite the recent wrestling incident requiring an ER visit and stitches). We even made some colorful glittery toys. An angel for Jude and a propeller plane for Joel. Even though there was no white Christmas in Cleveland this year, Santa tracked some snowy foot prints into our house delivering his abundance of gifts. I think the kids liked their gifts. What do you think? We then rang in the New Year spending some much enjoyed time with our friends Miss Jen, Mr. Nate, Owen and Amanda in the afternoon.Then the kids made it to midnight wide eyed and bushy tailed. Too bad mommy had to be back up at 6 am to work.Ugh! But I wouldn't have it other way. So here's to the bittersweet end to 2014 and to the hopes, dreams, memories and more 2015 has in store!